• Tonight, get your 'fit together, walk the red carpet and rub elbows with designers and models at "Chrome," the VIP opening night 7-10 p.m. soiree at the Estate, 179 First Ave. N. $85. • Friday, artists and designers will have their works for sale and give live demonstrations at the Art/Fashion Market at the Raw Studios, 2338 Emerson Ave. S. Free. 6-9 p.m.
• The main event happens 6-10 p.m. Saturday, when designers and boutiques including Sartorial Menswear Boutique, Peppa Pelure and Dolce Couture trot their collections down the runway at the Station House, 260 First Ave. S. Red carpet photos, cocktails, hors d'oeuvres, music, a designer meet and greet and vendors round out the event. $35. The movement of women of color celebrating their natural hair and beauty comes to the Florida State Fairgrounds on Saturday. The jam-packed Fabulously Unique Natural Hair and Beauty Expo not only features more than 30 vendors selling all-natural products, but also workshops, demos, a pamper lounge, man cave and a kids lounge. There's also a special Kids and Kinks panel hosted by 12-year-old entrepreneur Lexi P. Susy Oludele, celebrity stylist to Beyoncé and Solange, will show how to create art with natural hair. 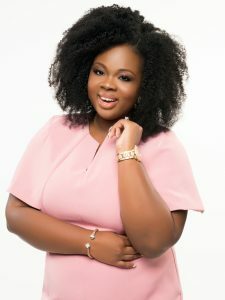 Natural hair community CEOs will hold a Beauty Boss Panel on the main stage, including Rochelle "Alikay" Graham-Campbell of Alikay Naturals, pictured below. Find out more and get tickets at fabunaturalhairexpo.com. 10 a.m.-6 p.m. at Florida Center West at the fairgrounds, 4800 U.S. 301, Tampa. $5-$30, $8-$14 parking. Also happening at the Florida State Fairgrounds this weekend is Buckler’s Craft Fair, bringing award-winning crafters from around the country to the Entertainment Hall, 10 a.m.- p.m. Saturday and 10 a.m.-4 p.m. Sunday. $6 admission for both days with a hand stamp. Kids 12 and younger get in free. bucklercraftfair.com.